The number of independent contractors is always on the rise in Southeaster PA. The need for plumbers, electricians and home remodeling contractors, especially for homeowners, is growing as the economy continues to improve. So, what’s the fastest way for an independent contractor to get his or her name out there? 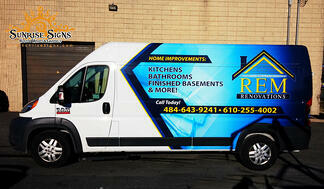 Vehicle wraps and graphics!